I’m a huge fan of keyboard shortcuts. If you’ve never taken the time to explore the keyboard shortcuts in your most used apps, I can’t recommend doing so enough. The amount of time you’ll save yourself is more than you’d think. As amazing as keyboard shortcuts are though, many of the things I do on my computer regularly don’t have shortcuts. The Request Tracker (RT) ticketing system I use at work, for example, has some shortcuts, but they don’t actually work once you get inside a ticket where I actually do most of my work. Thankfully, there’s the ever useful Keyboard Maestro. With Keyboard Maestro, you can easily set up a keyboard shortcut (or hotkey) to trigger just about any action on a website.I reply to, comment on, and transfer tickets hundreds of times a day, so having keyboard shortcuts for these tasks is incredibly helpful. Below is an example of my shortcut to reply to a ticket. I could have easily just had the shortcut open up the reply screen, but why stop there? Adding an action to select a Safari field also puts the cursor in the correct place for me, so all I need to do is start typing my reply. It may seem trivial to set this up just to save a few clicks, but when you perform the same action over and over, those clicks add up. Below is an example of my shortcut to reply to a ticket. I could have easily just had the shortcut open up the reply screen, but why stop there? Adding an action to select a Safari field can also put the cursor in the correct place for me so can immediately start typing the reply. It may seem trivial to set this up just to save a few clicks, but when you perform the same action over and over, those clicks add up. Plus, once you have one set up, setting up macros for other actions is pretty much the same. I also set up a few keyboard shortcuts to take me to frequently visited locations in the ticketing system like my own support queue or the ticket creation screen. For example, “^N” opens the page to create a new ticket. These are even simpler to set up because they only require the Click Link action. As an added bonus, I created a simple workflow for Alfred, my app launcher of choice so that I can get to these common destinations even when I’m not using Safari. Typing “rt new” into Alfred also brings me to the page to create a new ticket. Right now, I’m still breaking my muscle memory of using the mouse, but already I can tell these improvements will save me a considerable amount of time each day. If nothing else, they’ll save my wrists from the impending carpal tunnel. Attending meetings is a necessary evil of my job. Thankfully, most of my colleagues see the value of having a running agenda stored somewhere in the cloud. Over the years, I’ve come up with a few best practices of my own that have helped save me time and keep me on top of my game. Agendas are great. Having to remember what every person decided to name the agenda just to find it isn’t. I can never quite remember if they decided to use “Catch Up”, “Running Agenda”, or “Meeting Notes”. I’ve solved the problem by making an Alfred workflow that opens the URL for the agenda by typing “agenda” followed by a descriptive keyword for the meeting that makes sense to me (e.g. agenda managers). The amount of time this saves me is honestly a bit mind-blowing. My colleages and I tend to use meeting agendas as shared notes and edit them throughout the meeting as things come up. However, I’ve started keeping my own running agenda for each meeting in Apple Notes. It’s nice to be able to look back over my own notes in one place rather than a myriad of Byword files. I’ve named all these something similar (e.g. Agenda Notes: Meeting Name) to avoid another complicated naming scenario as described in the last tip. As soon as I get back to my office, I make sure to review the agenda and my own notes making sure to capture any action items into Omnifocus for further action. This ensures nothing slips through the cracks before the next meeting. Any time I think of something I need to discuss with someone that’s not immediately pressing, I add it to Omnifocus as a reminder to mention it the next time I see them. I name each item in the same format, “Person’sName: Action”, assign it to the @People context, and add it to my Agendas project (if it’s a work colleague). If I know the next date I plan to meet with that person, I’ll set a defer date as well. When it comes time to meet with someone, I have one of two options for reviewing items to discuss with him or her: (1) view the @People context which has items involving both work and personal contacts or (2) view the Agendas project which only has work colleagues. Since every item includes the person’s name, I can search by name to narrow down the list to a specific person if need be. If an item up for discussion seems like it will warrant a lengthy discussion, I make sure to add it to the agenda before the meeting as well. Years ago, back when theming a Mac was possible, it wasn’t uncommon for me to spend hours tweaking the way the menu bar looked or changing the stock icons of my favorite apps. These days I’m pretty content with the way OS X looks though, which is good since Apple’s greatly reduced the ability to customize it. In any event, I’ve always done my best to hide things that didn’t need to be seen. Case in point, this screenshot from 2008 where I meticulously picked out every icon to match the wallpaper. I’m no where near as into customizing as I used to be, but I still try to keep things as minimal as possible. Bartender’s a great example of an app that does that by keeping my menu bar tidy. I rely heavily on Bartender’s ability to only show an item in the menu bar if it detects a change. In fact thanks to that feature, on a regular basis, I only have 3 things in my menu bar: Healthier only when I’m at my desk, Fantastical, and the time (and of course the dots are Bartender itself). Somehow Safari ended up being the next app to be caught in my minimizing grasps and the results are a Safari interface that’s as minimal as I’ve ever had it. The minimalism isn’t just for looks though. 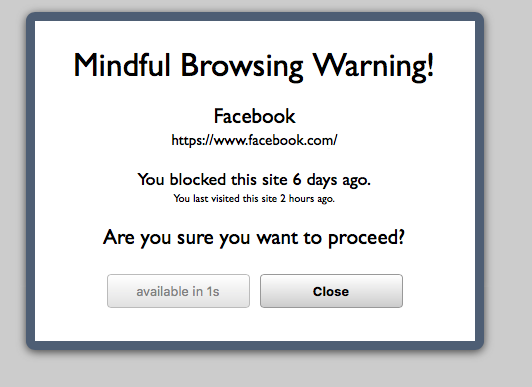 It’s actually changed my behavior, making me more mindful of my browsing and more efficient too. The first thing I did to simplify Safari was to hide any uncessary extensions and buttons on the toolbar. Only the things I truly use regularly need to be in the toolbar for quick access. For me this meant things like the Pinterest button didn’t make the cut. Pinterest unfortunately doesn’t have Share extension support where I’d prefer it to be located, but I’ll share my solution in a second. 1Password, the Share extension, and downloads are the only thing occupying the right side of my toolbar these days. The next thing I removed was the favorites bar. This was a pretty big step for me. I’ve always had the favorites bar shown in my browsers for as long as I’ve been using a computer. I was worried I’d miss it, and I did for about 20 minutes. After those 20 minutes, my muscle memory had completely switched to using Alfred to launch my most visited sites. One thing Alfred couldn’t replicate out of the box was the bookmarklets that lived in my favorites bar. 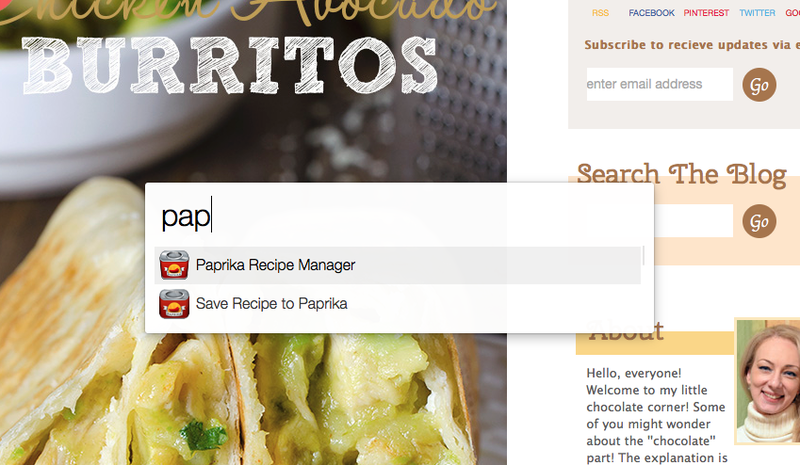 Paprika, my recipe manager of choice, allows you to import recipes from websites, but it does so using a bookmarklet rather than an extension. (Maybe one day that will change.) Without access to my favorites bar, saving a recipe became a lot more complicated than a single click. Thankfully, I found a wonderful Alfred workflow that let’s you trigger a bookmarklet with a keyword. I used “paprika” as the keyword to launch Paprika’s bookmarklet purely so I didn’t need to remember something else. Now when I’m on a site, I just need to launch Alfred and start typing paprika to get the bookmarklet. With the bookmarklet solution figured out for Paprika, I used the same workflow to make one for Pinterest. Remember I removed the button from the toolbar, so I needed a way to pin things. Pinterest’s bookmarklet, available originally for the iPhone before it got it’s own dedicated share extension, is available here. Rather than launch a particular page or display my favorites, I opted to have new windows launch with a blank page. Minimal yes, but it has greatly reduced the mindless visiting of certain sites that I found myself opening purely because of habit. So here you have it folks, my Safari experience. My last Safari tweak is actually the addition of an extension called Mindful Browsing. If I find myself visiting a distracting site, I can click a button on the toolbar to block the site. Next time I visit it, I’ll be met with a timer (set to a time of your choosing) and a message asking me to reconsider my decision. Another handy addition is the inclusion of when you last visited the site, which serves as a great reminder for how often you actually visit distracting sites.